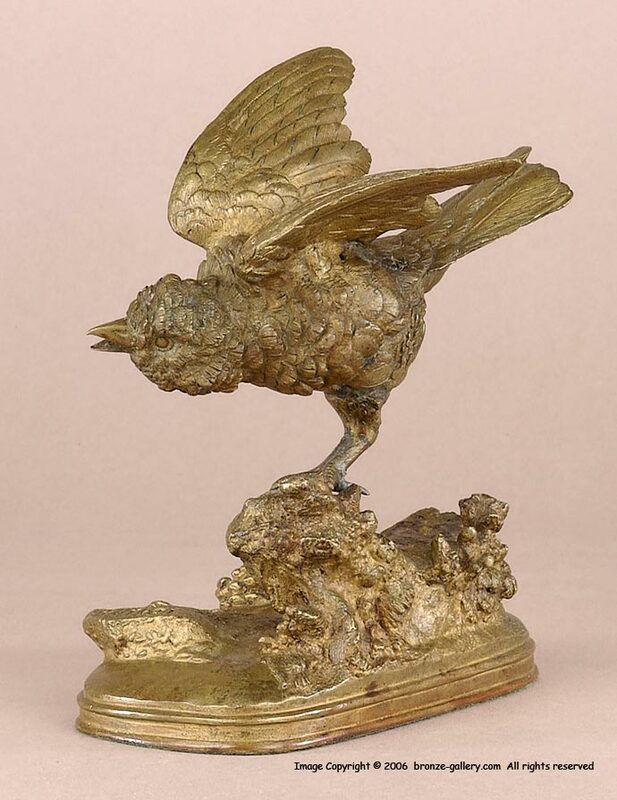 Ferdinand Pautrot was considered to be the finest sculptor of birds during his lifetime. His portrayals of birds are so realistic that they seem to come to life. Pautrot had the uncanny ability of capturing a bird at a moment in time, frozen as if in a photograph. In this sculpture, the Bird is stopped in mid stride as he runs before taking off to fly away. 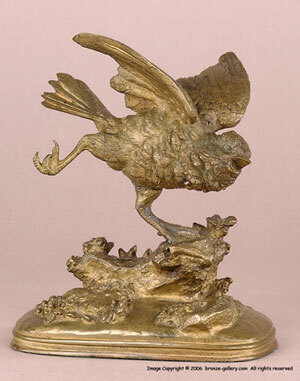 The bronze has sharp detail and is finished in a light gilt patina which is typical of much of Pautrot's work. A fine small model that does not come on the market often, this bronze would be enjoyed by any bird watcher.